ALS Research Forum | ALS Motor Neurons, Direct? 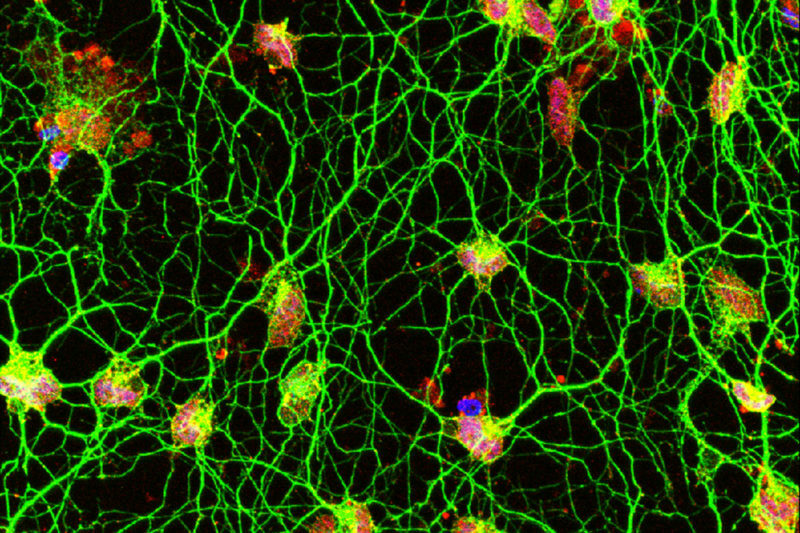 Researchers may be one step closer to recreating motor neurons from people with ALS according to a new study led by Washington University School of Medicine’s Andrew Yoo in St. Louis, Missouri. The strategy, which involves the transfection of microRNAs miR-9 and miR-124, and the transcription factors ISL1 and LHX3, enables adult human fibroblasts to be directly reprogrammed into human spinal cord motor neurons. What’s more, most of the cells generated by this method appeared to be functional, firing multiple action potentials when depolarized. The strategy is one of a growing number of techniques that aims to streamline the production of human motor neurons in the laboratory to investigate their role in neurodegenerative diseases including ALS (see Son et al., 2011). The approach is based on previous studies from Yoo, while in Gerald Crabtree’s laboratory at Stanford University School of Medicine in California, which found that human fibroblasts exposed to miR-9 and miR-124 became neurons in culture (Yoo et al., 2011). The study is published on September 7 in Cell Stem Cell. The strategy may be a potentially key alternative to existing indirect reprogramming methods because the cells might retain epigenetic marks which may contribute to ALS (Mertens et al., 2015; Huh et al., 2016; Ho et al., 2016). 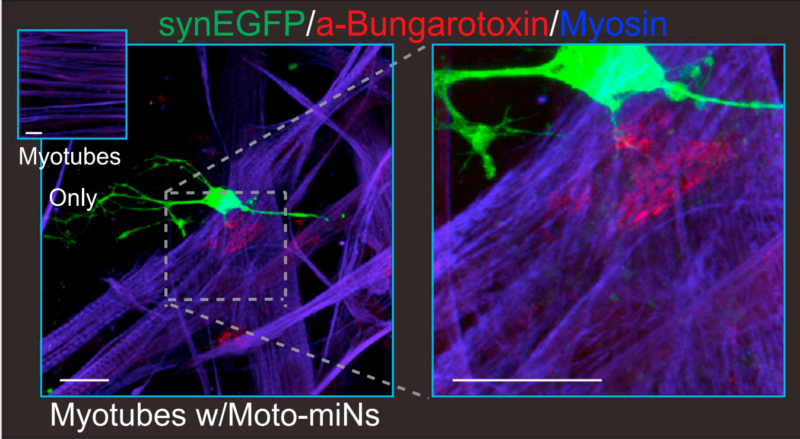 Now, Yoo’s team is using this approach to investigate how motor neurons may be impacted by the aging process. The results may provide insight into how these changes may contribute to late-onset neurodegenerative diseases including ALS. Stay tuned. Abernathy DG, Kim WK, McCoy MJ, Lake AM, Ouwenga R, Lee SW, Xing X, Li D, Lee HJ, Heuckeroth RO, Dougherty JD, Wang T, Yoo AS. MicroRNAs Induce a Permissive Chromatin Environment that Enables Neuronal Subtype-Specific Reprogramming of Adult Human Fibroblasts. Cell Stem Cell. 2017 Sep 7;21(3):332-348.e9. [PubMed]. Huh CJ, Zhang B, Victor MB, Dahiya S, Batista LF, Horvath S, Yoo AS. Maintenance of age in human neurons generated by microRNA-based neuronal conversion of fibroblasts. Elife. 2016 Sep 20;5. pii: e18648. [PubMed]. Yoo AS, Sun AX, Li L, Shcheglovitov A, Portmann T, Li Y, Lee-Messer C, Dolmetsch RE, Tsien RW, Crabtree GR. MicroRNA-mediated conversion of human fibroblasts to neurons. Nature. 2011 Jul 13;476(7359):228-31. [PubMed]. Mertens J, Paquola AC, Ku M, Hatch E, Böhnke L, Ladjevardi S, McGrath S, Campbell B, Lee H, Herdy JR, Gonçalves JT, Toda T, Kim Y, Winkler J, Yao J, Hetzer MW, Gage FH. Directly Reprogrammed Human Neurons Retain Aging-Associated Transcriptomic Signatures and Reveal Age-Related Nucleocytoplasmic Defects. Cell Stem Cell. 2015 Dec 3;17(6):705-18. [PubMed]. Ho R, Sances S, Gowing G, Amoroso MW, O’Rourke JG, Sahabian A, Wichterle H, Baloh RH, Sareen D, Svendsen CN. ALS disrupts spinal motor neuron maturation and aging pathways within gene co-expression networks. Nat Neurosci. 2016 Sep;19(9):1256-67. [PubMed].